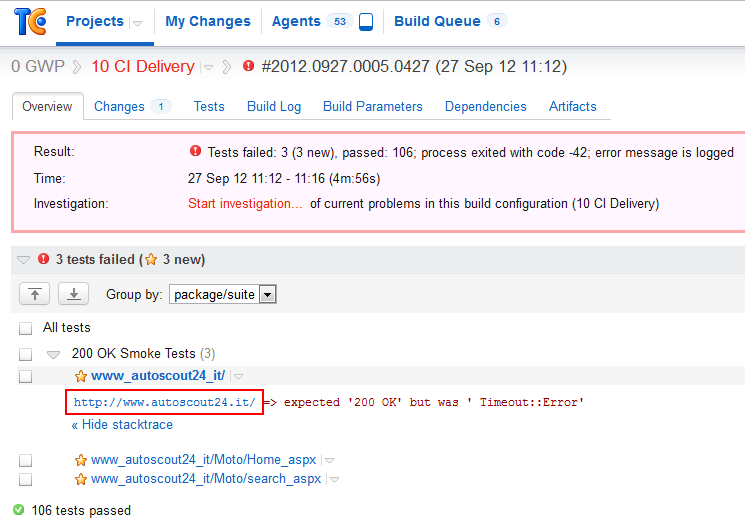 We at AutoScout24 are using TeamCity for our Continous Integration and Delivery. One step in our Release Pipeline is integration testing in different browsers. If our test framework detects a problems it will create a screenshot of the breaking page. This screenshot contains valuable information that helps our developers to quickly analyze the issue. 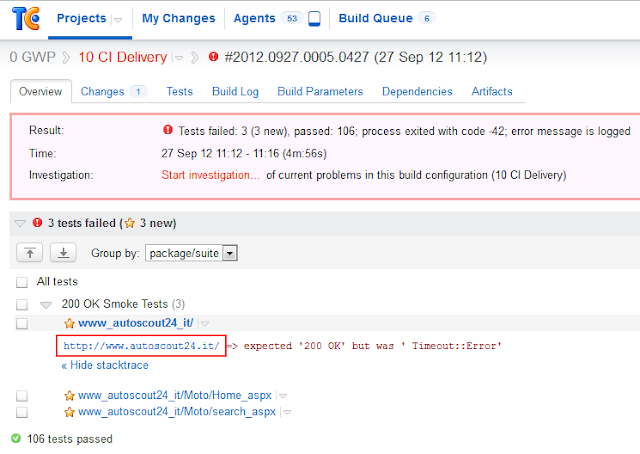 As an example, our test servers are configured to send stack traces which are visible in the screenshots. Add a new rule that inserts "show-link.html" into every page that starts with "viewLog.html"
I tried to do what suggested but still, the url(http://www.autoscout24.de) rendering isn't working. 1. Do you need any " OR ' there that missed in the example? 2. show-link.html should be in same path as static-ui-extensions.xml, correct?